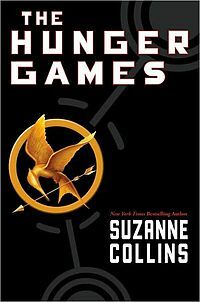 Review: The Hunger Games – Brendan Mancilla, Author. I couldn’t agree with you more on your opinions about the world created by Collins in this novel and Katniss Everdeen. The imagination required to invent a whole new society is impressive, and the way in which she was able to construct this post-apocoliptic world and present it to the reader in such a realistic manner is praise worthy. The social and class issues are plentiful as well within the novel which make it at least on some level both enjoyable and relateable to modern society. I also agree with what you have said about the depth of Katniss’s character and the fact that this is probably the novels most redeeming quality. She gives the reader an strong-willed underdog they can relate to and root for throughout the trilogy. However, the rest of the characters in the novel, Peeta included, are little more than shells, with the possible exception of Haymitch. While a great deal is to be said for Peeta’s love for Katniss and his willingness to sacrifice himself for her, the true depth of a character lies in his flaws as well as his strengths. Throughout this book and the two following, Peeta never seems to waiver in his convictions. He doesn’t seem to face any real inner turmoil, nor does he falter when faced with challenging situation. Also, his undying love for Katniss is founded on little more than one brief moment when they were children. He is perpetually the good guy and moral standard but the motivation for such unwavering resolve is hard to find within the text. For these reasons I find him to be lacking the depth a character of such importance needs, and to be an overall unbelievable character. Another issue I found with this book was Prim. She is supposedly Katniss’s great inspiration and the spark which starts a revolution, but is really no more than a name in the text itself. All we know about her we are told by Katniss. She rarely speaks and there is very little evidence of a strong bond between Katniss and Prim, other than what we are told by Katniss. You touched on this point above with your too much telling and not enough showing comment. I think the reason the series is so appealing to adolescents AND adults is because of Katniss Everdeen and how attractive her strong character is. I loved your review. Thanks Brendan!